The Woman in Black: a fantastic ghost story from start to finish, creating huge levels of eerie tension yet also telling a deep, emotional story that unravels in a satisfying, organic fashion and paves the way for a relentless barrage of supernatural hauntings. Though most people know the novel by the stage play adaptation which began in 1987 (and continues showing often to this day), a more obscure and equally incredible portrayal of the story is none other than the 1989 television film; airing on Christmas Eve that year, it became an unexpected success but soon exceedingly rare due to legal distribution issues. So, with Halloween under way, let's take a look at this classic horror flick and see why it shouldn't be missed. Arthur Kidd (Adrian Rawlins) is a young lawyer whose firm dispatches him to the lone market town of Crythin Gifford to attend the funeral of the late Alice Drablow and retrieve some legal documents from her house on Eel Marsh. But when Arthur arrives at the town, he feels a growing sense of unease as locals seem reluctant to talk about Alice Drablow or of a pale woman dressed solely in black. As Arthur continues to work at Eel Marsh House, he slowly uncovers the true origins and intentions of The Woman in Black (Pauline Moran); and her frightening purpose. Those looking for a well crafted horror film will find much to love about The Woman in Black. Admittedly things can feel a bit slow sometimes, but the film consistently relies on the use of tension through powerful mise en scene and excellent sound design to create an uneasy, frightful atmosphere; perfect for the type of film it is. The Woman in Black is rarely seen; she appears sporadically, and is often absent when you don't expect it, which conjures a relentless amount of tension for first time viewers. And when she is actually shown, prepare to get serious goosebumps. 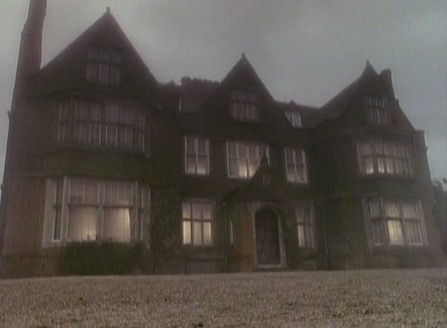 But rest assured this is no clumsy barrage of jump scares or just a flood of tension with no backbone; the plot really sews together the entire sequence of events organically and wonderfully, making for some shocking revelations and clever narrative twists as Arthur investigates the tales surrounding The Woman in Black as well as Eel Marsh House. Being an adaptation one can expect a number of changes to the source material which are always welcome; this movie mostly got the changes spot on, but there were a few I was not a huge fan of. For those who have read the novel, I will just say the rocking chair and leave it there. Further pushing the levels of tension and outright horror is of course the acting; Adrian Rawlins performs Arthur with a great deal of curiosity and arrogance (this is good! The character is like that in the novel), and it's extremely easy to take him seriously when he is subjected to the terrors inside Eel Marsh House. The Woman in Black herself is portrayed without words as one should expect, but her facial expressions (and of course her frightening make up) make for a very strong performance that will surely get under your skin, especially when she is shown more clearly. Why is it that such a great movie has to be so rare? If you plan to watch this you can find it on Youtube in several parts, but unfortunately home video copies are usually very rare and expensive if found. I'd reccomend any fan of the horror genre checking this film out though; with a fantastic eerie atmosphere, well crafted spooky sets and an excellent story, it provides a well rounded adaptation of Susan Hill's classic novel and, hopefully, will scare the life out of you...it certainly did for me! 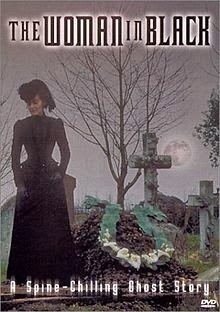 Now, let's hope the 2012 adaptation will be just as good, if not superior.